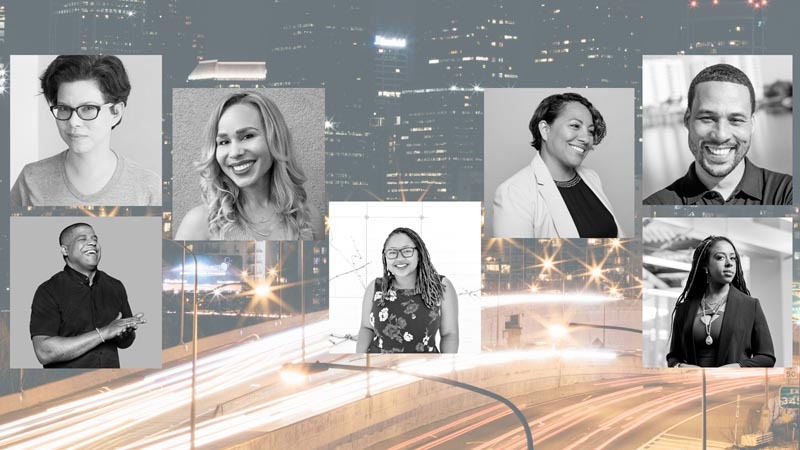 Speakers include Philadelphia Mayor Jim Kenney, Backstage Capital Founder and Managing Partner Arlan Hamilton, Course Alchemy Founder Danielle Leslie, and over 130 more of the most successful Black and Latinx entrepreneurs, investors, and creatives from across the country. Events include keynotes, open-ended panels, and constructive workshops. Topics at the Philadelphia event span hiring employees, marketing and storytelling, building an investor community and raising funds, and the future of tech in Philadelphia. Black & Brown Founders was started by Aniyia Williams, Founder & CEO of Tinsel and 2016 Code2040 Entrepreneur-in-Residence. As Williams launched her company, she found that the “bootstrapping” ethos of startup culture wasn’t the same for her and other aspiring entrepreneurs of color. Black & Brown Founders addresses those barriers by sharing knowledge and resources. With a commitment to the belief that the best ideas and innovations come from diverse collaboration, Comcast NBCUniversal has partnered with Black & Brown Founders to bring the indispensable series to Philadelphia. “For our communities to thrive, technology must be accessible to everyone. That’s why Comcast NBCUniversal is so proud to partner with Black & Brown Founders Project to bring hundreds of diverse entrepreneurs to our hometown of Philadelphia – and help them find ways to make their own hometowns even stronger,” said Jessica Clancy, Vice President, Corporate Social Responsibility Comcast NBCUniversal. Despite being one of the most diverse cities in the country, Philadelphia’s entrepreneurial and executive community is not reciprocally represented by Black, Latinx, and other ethnic groups. While people of color constitute 55% of the population, a 2016 Census Bureau survey found that just 15% of Philadelphia businesses are operated by non-white owners. Comcast NBCUniversal hopes to address these disparities across the city by supporting Black & Brown Founders and other organizations that promote diverse business investment and give more groups the support and resources they need to start their own companies. Comcast NBCUniversal is committed to supporting entrepreneurs from all backgrounds. In 2011, Comcast Ventures established the Catalyst Fund, a $20 million fund focused on investing in early-stage technology startups led by minority and women entrepreneurs. Antonio “Tony” Williams, Government & External Affairs at Comcast NBCUniversal, will be among the contributors at the event. His panel “How to Plug Into Philadelphia’s Tech Ecosystem” will address how to access the broader startup ecosystem in Philadelphia from a Black and Latinx perspective.